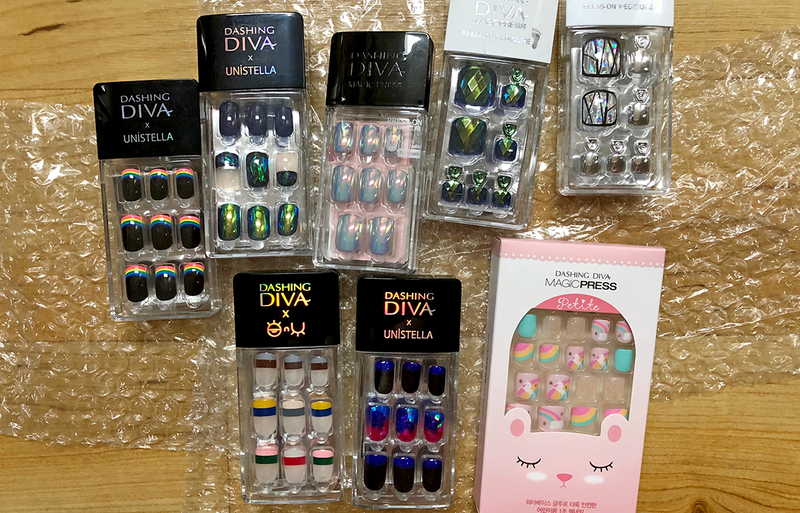 I'm not sure if you've heard of Dashing Diva press on nails? I saw it in store and read about it but wasn't sure if it was legit until I saw my friend using and raving about it. I hurriedly bought a pedicure set to try and it was so easy to put on and it cost fraction of a nail salon visit! They have various sizes in a box- which means you really could find nail sizes closes to your nails! I personally love using their pedicure because it last longer (3 weeks on me) but be sure not to wear closed shoes as it might move the nails a bit. Their manicure designs are gorgeous and they actually make more manicure than pedicures. 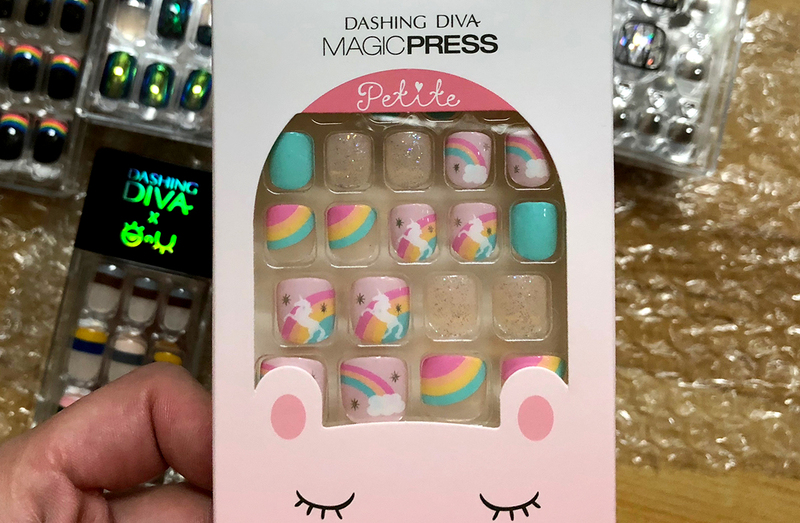 *They even have kids press on nail now too like this unicorn number! The manicures are great if you have parties and events to go to but if you are planning for a long lasting wear (above 1 week) while doing your daily chores like moving stuff and washing the dishes...then be prepared. It is after all somewhat like a double sided tape, taping the nails on. Hence you might notice the nails wiggling off at Day 4 (if you consistently have contact with water). Nonetheless, these pedi and mani are SO good if you are consistently wearing open toe shoes and if you love nail art! They looks so natural that my friends thought it was my real nails! Coconut chia seed with gula melaka.